You can now create wheeled carts to transport things with them. 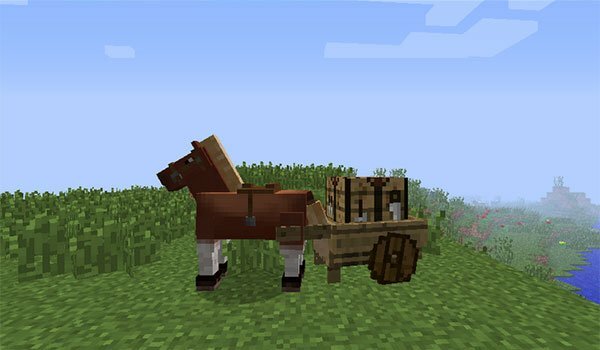 Wheel Cart Mod 1.7.10 is a mod that actually consists of three small mods, the first one is the cart, then the loom which will let you create pieces to assemble the carts to the horses, and the last is the wheel mod that adds the ability to create wooden wheels. 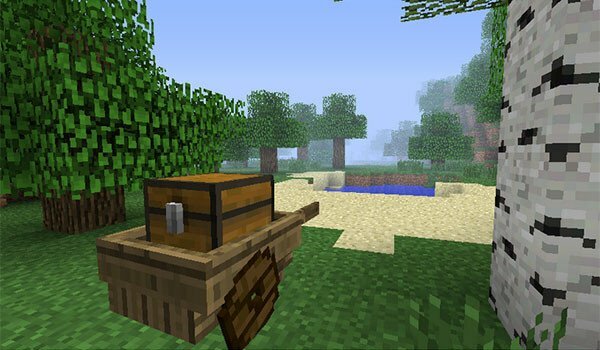 The combination of these three mods will let you craft wheeled carts that will move wherever you want. In addition, you will be able to drive it by hands or with horses. With this wheeled carts you will be able to transport animals, ovens, chests and crafting tables. All of this flows in the graphic stlye of Minecraft and adapts very well to the design of the deafult objects. How to install Wheel Cart Mod for Minecraft 1.7.10? We have wheeled carts in Minecraft!